Dealing with insurance companies can feel overwhelming, especially when you’ve just been injured at work or in a car accident. This is why it’s easy to make mistakes that might affect your personal injury claim. If you’re dealing with a personal injury claim, read further to find out more about the most common mistakes people make and how to avoid them. Even if the accident wasn’t your fault, simply telling the truth and hoping for the best outcome won’t cut it. Remember, insurance companies will be aggressive, and hiring a personal injury attorney will greatly improve your chances of winning the compensation you rightly deserve. Accidents are never planned, so you probably don’t have the cash for lawsuits just lying around. However, unlike most lawyers, personal injury lawyers charge a contingency fee. This means they will collect their fees only when you settle or win your case in court. This is usually just a small percentage of your compensation, which means you have nothing to lose by hiring a lawyer. If you think you’ve been injured in an accident, you’ll want to seek medical care right away. Not only will you avoid further harm, but it will also create medical records you can use as evidence in your injury claim. These records might also come in handy when applying for legal finance loans. 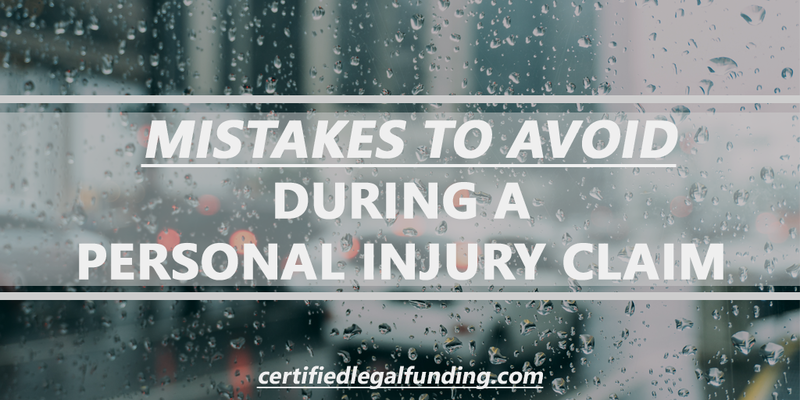 Even if you’ve never been in an accident, chances are you at least heard of legal funding. However, most people believe that securing legal funding is much more difficult than it really is. In fact, you can get legal funding for lawsuits in Tampa in just a few days, and some companies can have the funding ready in a few hours. Not all personal injury claims end up in court. Truth is that most cases are settled out of court. This is why hiring a personal injury attorney is critical. They will review your case and do everything in their power to avoid going to court to save you both time and resources. Keep in mind, that a good personal injury attorney will not avoid going to court if that means securing you the compensation you deserve.